A U.S. judge presiding over Waymo's trade-secrets theft lawsuit against Uber has asked federal prosecutors to investigate the claims in the case, it emerged on Thursday (via Bloomberg). U.S. district judge William Alsup also partially granted Waymo's bid for an injunction against Uber's self-driving efforts, and rejected Uber's arguments that the trade secret allegations should proceed in private. Google's self-driving Waymo car division originally filed the lawsuit against Uber in February, accusing the company of stealing its self-driving intellectual property. 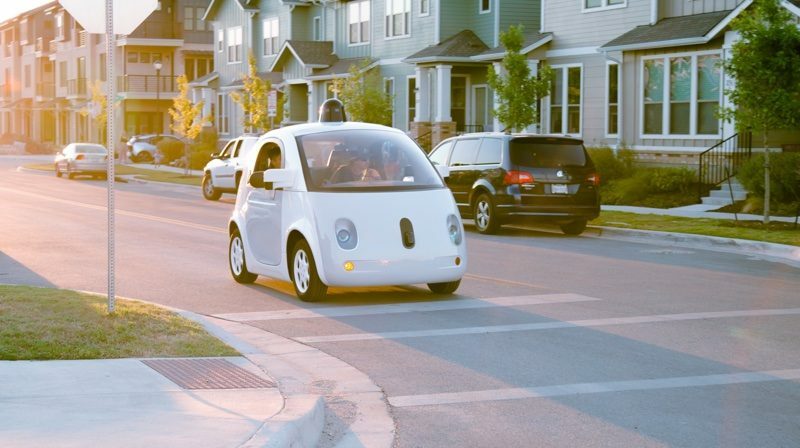 Specifically, former Google employee Anthony Levandowski is accused of stealing 14,000 confidential files that included data on Waymo's laser-based radar (LiDAR) system, which the company called "one of the most powerful parts" of its self-driving technology. In referring the case to the U.S. Department of Justice, Judge Alsup said that in the absence of "smoking gun" proof of wrongdoing by Uber, he was not taking a position on whether or not charges are warranted, but noted there was "ample evidence" that Levandowski had breached his duty of loyalty to Waymo. Uber declined to comment on the referral to prosecutors, while Levandowski has already recused himself from LiDAR-related work while the case is ongoing, but the news is yet another setback for the ride-hailing service as it attempts to revive its tarnished image following multiple controversies over recent months. The Department of Justice is already investigating the company over its use of "secret" software that allowed its drivers to operate in areas where Uber was banned or restricted. The so-called "greyball" software is said to have allowed the company to identify undercover officials and block them from booking rides, in order to prevent them from proving that Uber was operating illegally. Last month it emerged that Apple CEO Tim Cook threatened to pull Uber's app from the App Store in early 2015 after discovering that it was secretly "fingerprinting" iPhones that used the app. Uber said it used the identification method to prevent fraud, despite knowing the tactic is a clear violation of Apple's app privacy guidelines. Uber really is one of the sketchiest companies around today by far. I do love their service though. The "I don't like them, but I like their convenience." Trading character for convenience, keep it up. At this point, they're only in business because people turn a blind eye to the crap they've done. You can't expect a majority of consumers to be advocates for social justice. People generally want the best product at the best price and don't think about the processes that created it. You see it all the time in animal cruelty accusations against the big farm conglomerates like Tyson. People still buy their product even though their suppliers engage in reprehensible behavior and are repeatedly outed by animal protection groups and agencies. Ultimately that is what laws and the court system are for. They enforce behavioral codes like theft of intellectual property. Depending on consumers to even remotely give a crap, let alone pay a higher price or experience less convenience, in protest of a company's unethical behavior is an exercise in frustration. Even the best organized boycotts will fizzle out after a relatively short period of time in the absence of publicized legal intervention. I fear that having Otto in between gives Uber a layer of deniability. I hope there's a paper trail somewhere showing Uber knew this all along. With the long list of ethical and criminal violations this company has hanging over it, it needs to be brought down and its investors need to be left empty handed. There is no excuse for an investor to still have their money in this venture-- they read the same news we do. If they're still supporting this company they can't plead ignorance. Social justice? Free markets are the solution. Not government intervention. Agreed! A lot of the issues surrounding Uber are exactly the opposite. Government collusion with the taxi/cab monopolies that don't want competition forced Uber to look for ... creative methods ... to work around the rules. Get government out of the way, level the playing field, then let the market decide.